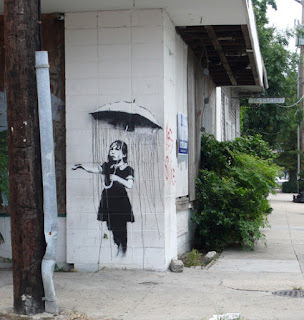 Having just visited New Orleans I spotted some graffiti that looked like Banksy's work. It's hard to tell though because he's got some imitators. I think he might even encourage them. Either way, I wasn't sure and just did a quick search and apparently he has visited New Orleans!